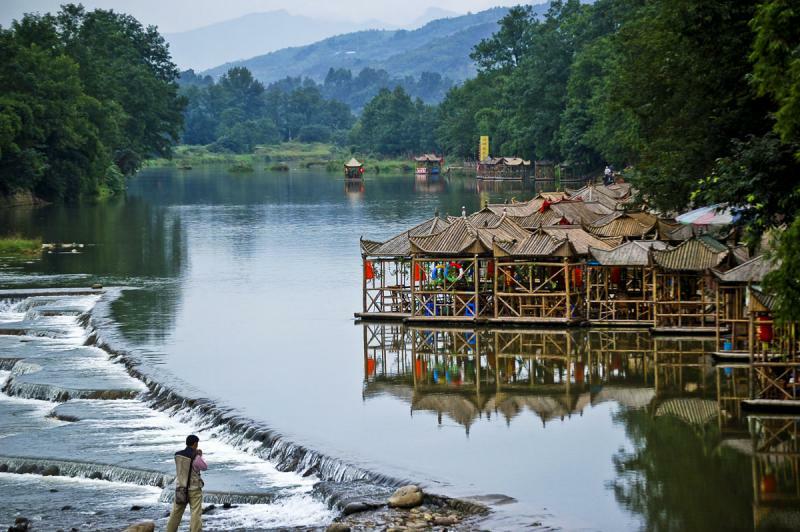 For those in the know travellers, China’s new urban star Chengdu brings to mind not only the adorable, worry-free giant pandas and spicy, delicious Sichuan Cuisine, but also a dozen ancient towns around Chengdu, making it a great all-round travel destination in China. 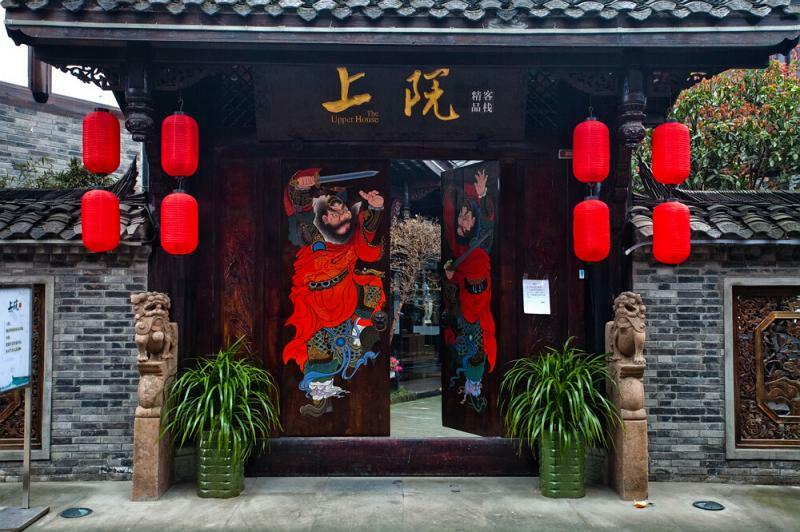 Pingle is one of the best of Chengdu’s old towns, and offers fun cultural experience. 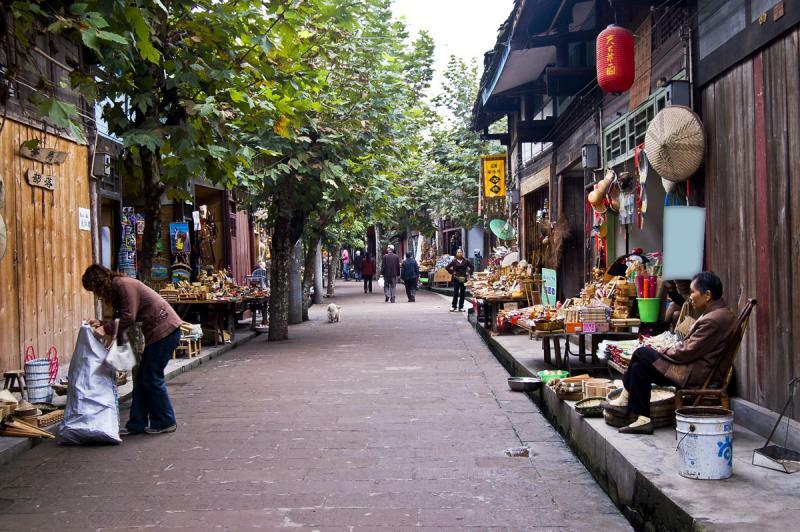 Located 93kmk southwest of Chengdu, Pingle Town was initially built as far back as 150BC during the West Han Dynasty, and used to an important town on ancient Silk Road and Tea Horse Road. 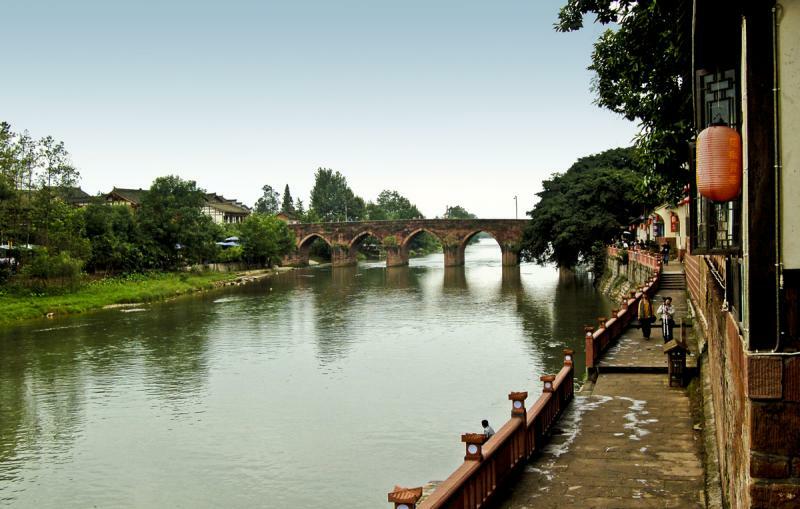 There is a river running through the ancient town, and leading us into the heart of Pingle, for more atmosphere and a wealth of cultural sites, including the Ming and Qing dynasties’ traditional dwellings, the thousand-year-old alleys, the ancient temples, weirs, docks, beautiful old bridges, etc. Rambling the streets of Pingle Town, walking through the humble wooden buildings, and listening to the ancient music, you may feel that you are back in time. You can also try many local specialty foods and snacks, and experience some interesting folk activities. If you are looking for an adventure on a mountain or a mountain hiking trip around, then you’re encouraged to visit the tranquil Lugou Bamboo Sea. There is a huge Buddha statue on the mountain, even taller than the famous 72-meter-high Giant Buddha in Leshan. How to get to Pingle Old Town: Take a bus from the Jinsha Bus station/Chengdu Chengbei Bus Terminal (North Train Station)/Shiyangchang passenger Bus Center to Qionglai City (about one hour), then take a bus or small van to Pingle (about 15 minutes).